I got an interesting email this morning over breakfast. 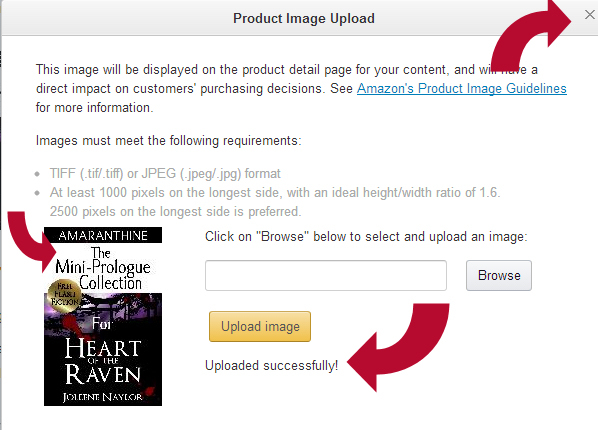 Apparently KDP Amazon has added a new feature or two which is supposed to help market your e-books. You can now select an age-range and (if you’re marketing your books to schools) a grade-range for your works. The former goes from 0 to 18+, the latter from “Board books” and “Picture books” to “Teen and young adult chapter books”. The people who wrote the email recommend you generally space your minimum and maximum ages or grades within 3 to 4 years. I have to say, it sounded intriguing and decided to try it. Neither the email nor the new options on KDP (listed where you can put and change your e-book’s general information) list how exactly these ranges help get your books to your customers, but I think Amazon probably knows the ages of its customers, and can target books to their customers based on age and past buying experiences. In any case, I thought I’d give it a try and see if anything happens. The one thing I can see wrong with this new feature is that they don’t go higher than 18+ or “Teen and young adult chapter books”. It would be convenient to have options that go higher, seeing as 18+ is a pretty wide range and I’m sure plenty of people would like to put a range on their books that’s closer to college-level or higher. Then again, this is the early stages of these options and there’s room for improvements. Maybe in a few months they’ll adjust the ranges to allow for more diverse ranges. In the meantime, I’m looking forward to seeing how author’s book sales are affected by this. Will you be doing these age ranges? Do you see any problems with these new options? And do you think they’ll affect sales that much? Let me know, I’d love to hear your thoughts. But all kidding aside, internet trolls are a hot topic as of late. With the anonymity of the internet to protect them, trolls go skulking around the forums and the discussion groups and the blogs and Twitter, using threats, name-calling, false reviews, and a plethora of other despicable tools at their fingertips for just one purpose: to hurt the targets of their e-bile. Authors seem to be a special target for these trolls. Get on the wrong side of one and they will take great pleasure in trying to bring down the rating of your books or leave hurtful comments on your blog. And the world has not let this phenomenon go unnoticed: thousands of authors, self-published and traditional, large and small, have signed petitions trying to get Amazon and other retailers to take measures against the intentionally hurtful reviews trolls leave behind (I’m happy to have signed one myself). Authors like Anne Rice have taken to Facebook to encourage others not to be discouraged and to fight back against trolling. Articles have been written on blogs and in newspapers and magazines, and a recent study on trolls has come out, confirming what we already know about them: that the people who engage in troll behavior are “everyday sadists” who enjoy cruelty and seeing others in pain. 1. Take a deep breath. If a troll leaves a nasty review on Amazon or a cruel comment on your blog, take a moment to calm down. Remember, trolls will target just about anyone, and what one is doing to you isn’t out of any personal grudge. So take a deep breath, get a cup of tea, do whatever you have to do to calm down and approach this rationally. When you’ve calmed down, talk to someone about it if you need to, preferably someone who understands the effects bullying can have on others. 2. Create a record of the trolling. Even if the post or comment or review isn’t threatening or violent, it’s good to keep a record of the harassment. If this same troll keeps coming back to make you a victim, you cn use your record to prove there’s a history of harassment and fight back. 3. Try to get rid of the post, if possible. Once you have a record, you can delete the false review or cruel comment if you want. I certainly would, if I felt that it was in my interests. It might take a little work, but you can even get Amazon to get rid of a review made by a malicious bully. 4. If the harassment continues or starts to get threatening, don’t be afraid to contact the authorities. I know some people might be wary of approaching the police or contacting a lawyer, especially if the harassment is restricted to the Internet. However, not fighting back only encourages a troll, and no one should make you feel uncomfortable, especially not some coward who hides behind a keyboard to hurt others. So if the bullying doesn’t stop, and if it starts getting threatening, don’t hesitate to take action to protect yourself. Now, sometimes those in the authorities will hear that this is happening on the internet, and will immediately stop listening. To them, you might as well be talking about Wonderland, Atlantis, or the planet Raxicoricofallipatorius, crazy talk that has no bearing on the real world. If this happens, don’t get discouraged. Ask for the supervisor, talk to a lawyer. Keep pushing, because this is your safety and your mental health at stake. 5. Fight back. Once you’ve taken care of yourself, it’s time to fight back. Talk aobut your experiences, advocate for ways to control or stop what trolls do. Signing that petition is one way. And remember, you are not alone. Other people have experienced trolling and survived. You can all band together and work together to stop the continued persecution that internet trolls revel in. Now, I’ve never experienced trolling personally (and I hope this post doesn’t lead to me experiencing it). But I’ve talked and spoken to and heard from people who have been attacked by trolls, heard how they reacted and I’ve taken what I’ve learned from them to form this article. If anything I’ve said sounds inaccurate or like a bad idea, I do apologize for my inexperience and naiveté. But if this post helps in any way to fight against trolling and makes it easier for you to deal with their sadistic tendencies, then I am glad to have been of some sort of service. Because if we wish for the world to change, we must be the agents of the change in the world. Nothing’s going to get done unless we do it, and I’m just trying to do my part. You’ve edited your book and reuploaded it. Maybe there were a lot of typos, maybe you had some bad reviews, maybe it just needed a touch up. No matter the reason, the new version is sitting on Amazon’s servers, all shiny and new, and you wish you could let the people who’ve bought it know. After all, if they bought the old version and haven’t read it yet, when they finally get to it and leave their review, their criticisms may not even apply. Or it could be a nice “hey remember you downloaded me? You might want to read me now,” reminder to people who got your book in a flurry of free day promotions. If Amazon judges the changes to be significant enough they may actually notify all your customers for you. But first you have to send them an email and let them know you want it done. I recently uploaded a second edition of Shades of Gray. Changes include rewriting multiple scenes, correcting information, changing conversations, for instance to better explain character’s motives, to explain how Katelina was able to recover after the fight at Claudius’ etc., and removing roughly 2,000 words (after all the additions). I would appreciate if you could make the new version available to past customers if possible. As I mentioned, the changes must be considered “significant” for them to notify customers, so you want to list them out. Obviously you don’t want to lie just to make it seem like a huge change so that people will get the notice, but you do want it to seem like they should be notified. 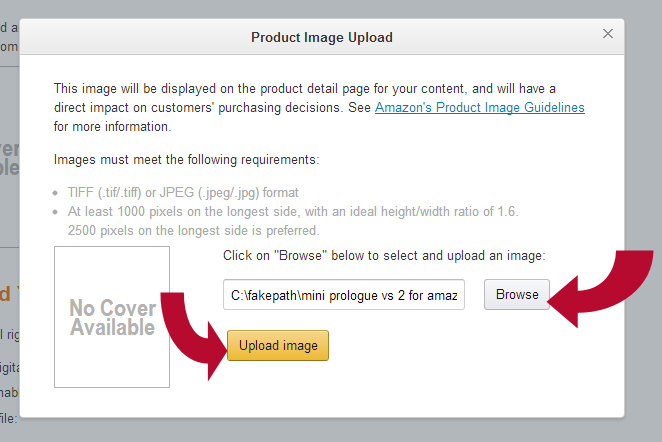 Have you ever requested that Amazon notify your customers of a new edition? What were the results? 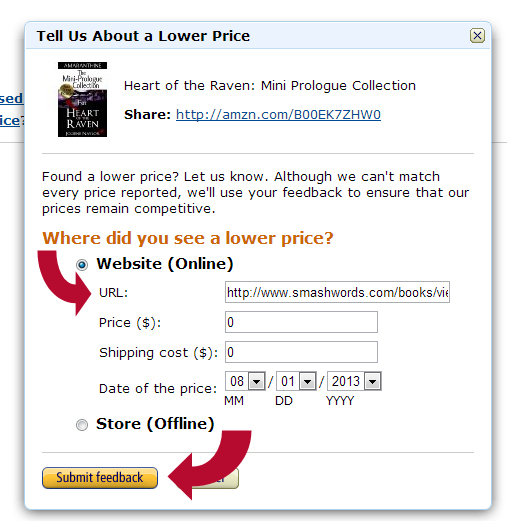 Do you know of a way to do this on Barnes and Noble or other retailers? Please share your experiences in the comments below. Thanks to a one-click buy mishap a year or two ago, I actually own a copy of my own book, and so since posting this I got the “Updated content” letter from Amazon. 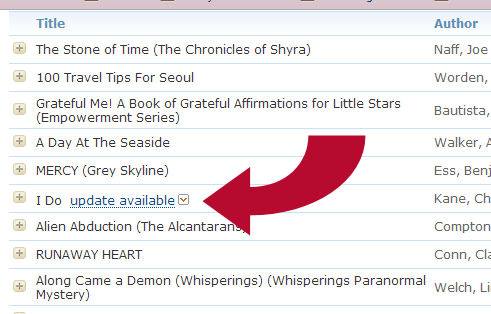 An updated version of your past Kindle purchase of Shades of Gray (Amaranthine) by Joleene Naylor is now available. Significant editorial changes have been made. You can receive the improved versions of all your books by opting in to receive book updates automatically. 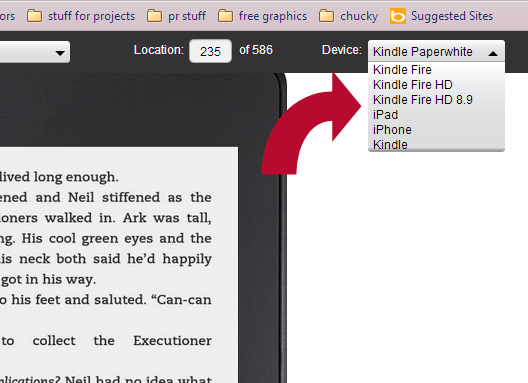 You can do this by going to Manage Your Kindle and clicking on the Manage Your Devices section. 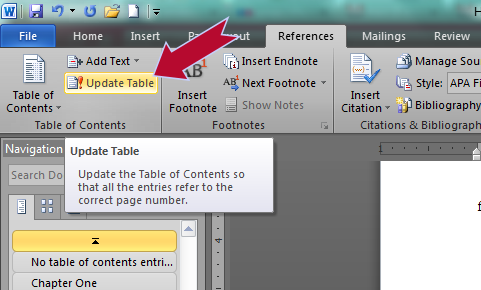 You will find the option labeled Automatic Book Update. Alternatively, you can get the updated version of this book by going to Manage Your Kindle. Find the book in your Kindle Library, click on the “Update Available” link next to the book’s title, and then follow the update prompts. All your devices that have the eBook currently downloaded will be updated automatically the next time they connect to wireless. We thank you for your business with Amazon. Go to http://kdp.amazon.com and sign in with the big yellow sign in button. 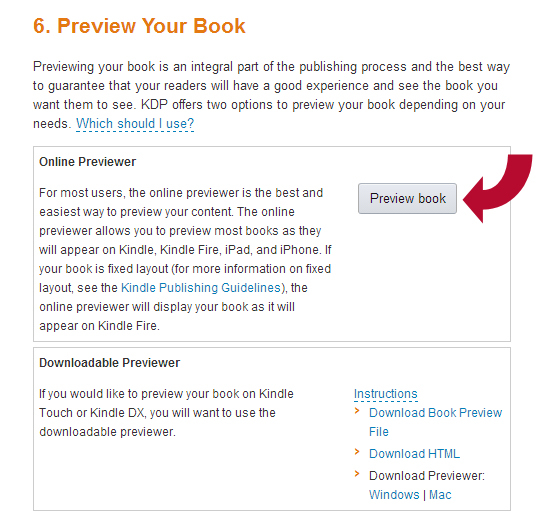 You will want to use your amazon account for this, even if you have never used KDP before. I accidentally made a new account and now have two amazon accounts that use the same email address (originally they had the same password, too!) and it created quite a mess. Don’t make my mistake. Once you’ve logged in you’ll be taken to your dashboard. Depending on whether you have books published or not, your may look slightly different. Click the yellow “Add New Title” button. This will open a new page. 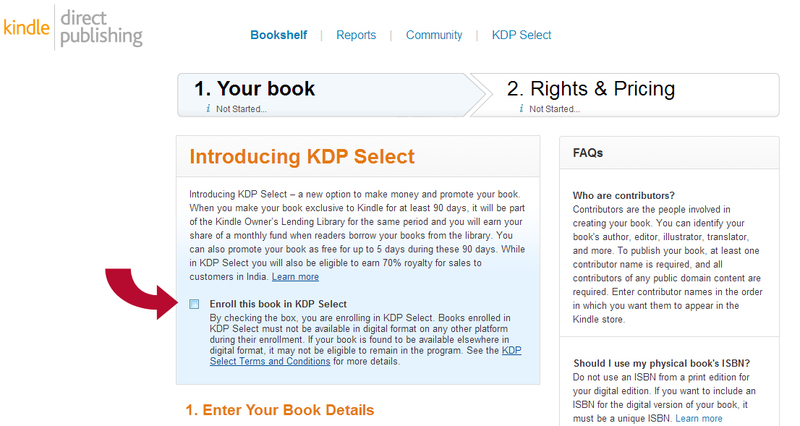 The first option you’re confronted with is whether or not to enroll your book in KDP select. 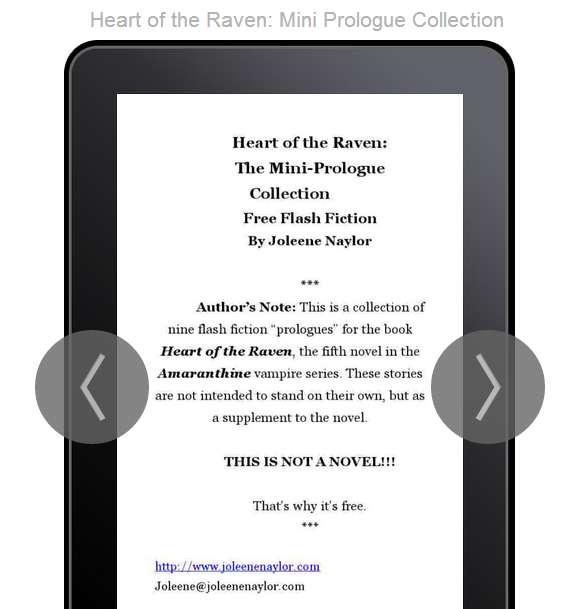 There are a lot of divided opinions on this, and you should do some research before deciding, but the run down is that if you join KDP select your ebook must be available ONLY on Amazon for three months and in return you get some marketing “tools” including five days that you can set your book to “Free”. There’s a lot more to it, and a lot to consider such as whether you will lose sales from other channel (again, your ebook can only be on Amazon and no where else), and I’m not going to cover all of that here, or tell you which is better. It’s a personal decision and you should do what is best for you. If you want it, check mark the box. If you don’t then do NOT check mark the box. Scroll down and enter your book title. 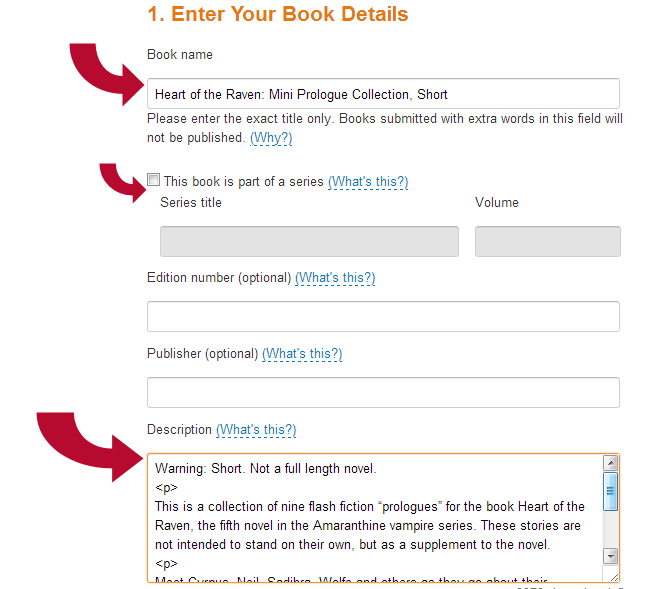 If your book is part of a series then check mark the series option, otherwise skip it. If you have an edition number (such as second edition) then fill it in, and if you have a publishing imprint put that under “Publisher”. I don’t, so I leave it blank. The next option is your description, which you should have prepared. You can see the < p > in mine; this is HTML code that will make it skip a line. you can do some light html code in your description, such as bold or italics. This will give you a pop up. 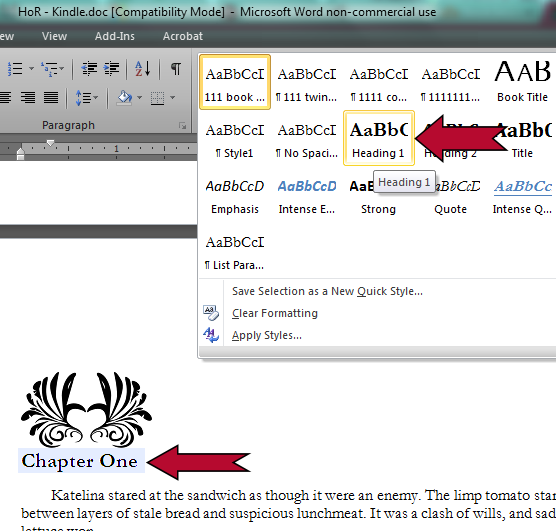 Type in your author name and then use the drop down button to select “author”. If you have other contributors to list then choose “Add Another”, otherwise click “Save”. The contributors will now be listed on the page. 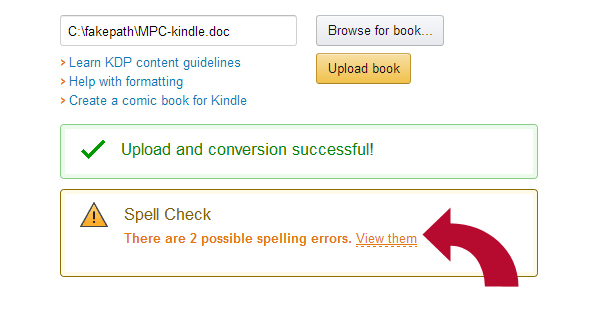 make sure you’ve spelled them correctly, and then select the language your book is in by using the drop down box. English is default, so if it’s in English you can skip to publication date. I always leave this blank, as the publication date is whenever I publish it, but you can set it if you want to by clicking the calendar. You’ll notice that the available days to click are today and BEFORE, not after, so this does NOT work to pre-publish or make your book available for pre-order. You can’t choose a day in the future. Once you pick your day, be sure to drop a check mark in the “This is not a public domain work” (unless it is) and then click the “Add categories” button. This will give you a pop up. 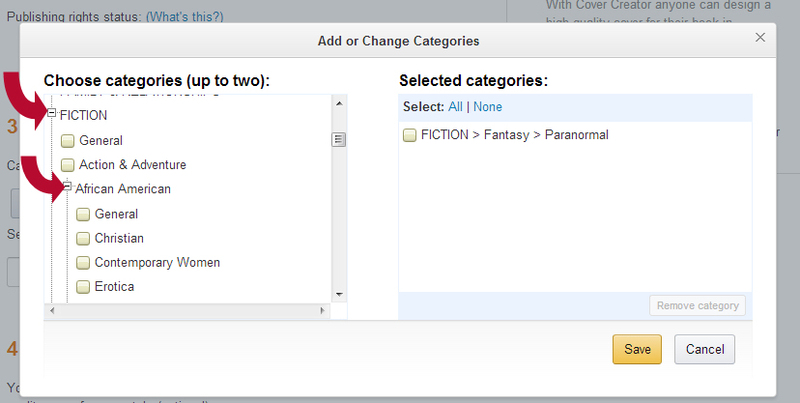 Some categories have sub categories, for instance, under FICTION you can see that African-American has a plus sign. If we click that it will drop down with more choices such as general, christian, etc. If you’re not sure what to classify it as then look around; go ahead and add as many as you want because you can remove them before you hit save. My particular book is Fiction>Fantasy>Paranormal. You can actually choose TWO final categories, but there isn’t another one that fits this book (I usually also file under Romance> Paranormal, but there’s not really any romance in this as it is a freebie of shorts), so I am only going to choose one. I recommend that if you can find two categories that fit to choose two. The more you have, the more lists your book will be in. 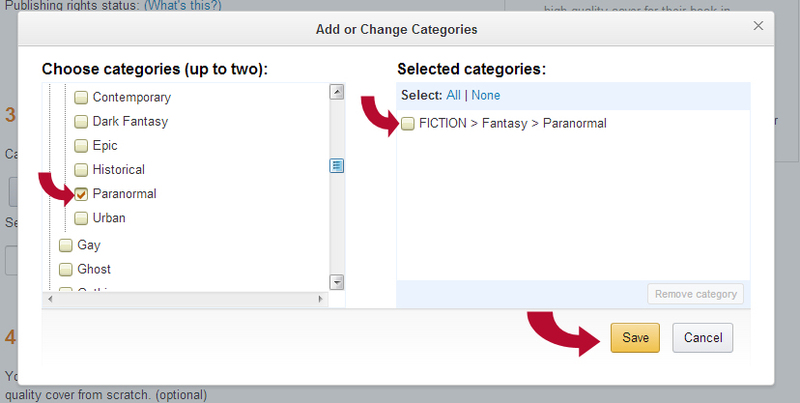 Choose them by check marking the box next to the final sub category. When you’ve got your list, use remove to whittle it down to two, if necessary, and then click save. Your categories now appear above the button. Fill in up to seven key words that describe your book. For instance this is a collection of flash fiction “prologues” that take place the day before Heart of the Raven, my novel, takes place, so I used the series name (Amaranthine), Heart of the Raven (the novel title), short, flash-fiction (because that’s what it is), vampires and paranormal (because it’s about vampires) and add free because it is free on the other channels, so Amazon should make it free too (I will cover this later). Now it’s time to add our cover. 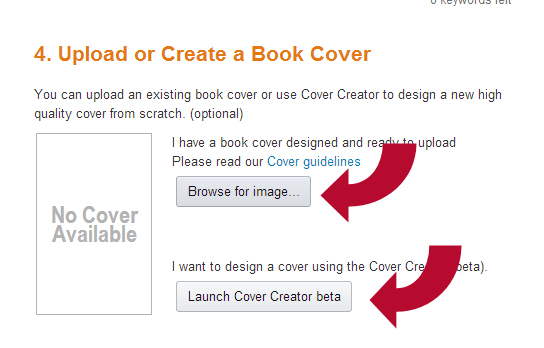 You have two options: Browse for your cover or use a cover creator (currently in beta). I will “cover” the cover creator in another post (ha ha!) so fir the point of this we’re going to upload our cover. 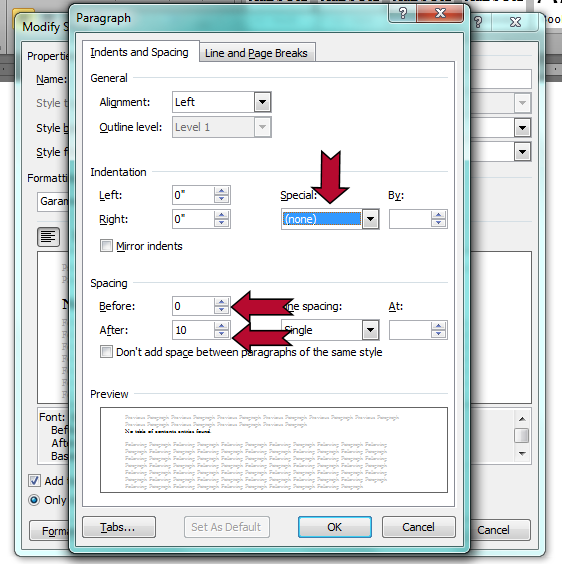 Clicking browse will open a dialog box where you can navigate to the image saved on your computer. It MUST be a .jpg or a .tiff (these are file extensions) and should be between 1000 and 2500 pixels on the longest side. When it finishes you will see a thumbnail view of the cover. It will look pretty rough – this is NOT what your “official” cover thumbnail will look like, but rather a rough version so that you can make sure you’ve uploaded the right picture. The final thumbnail will be smoother. If it looks good, hit the x in the upper right corner. Now it’s time to upload your book and choose whether you want DRM enabled. DRM means Digital Rights Management, and is something that amazon will put in the “code” of your book to keep people from pirating, think of the old VCR tapes that used to turn the movie a rainbow color if you tried to tape them to a second tape, or DVDs that won;t copy if you try to rip them. DRM is a hot button issue, some people feel it is a waste and only makes it harder for consumers and others think it is a great idea. You will have to choose what is right for you. 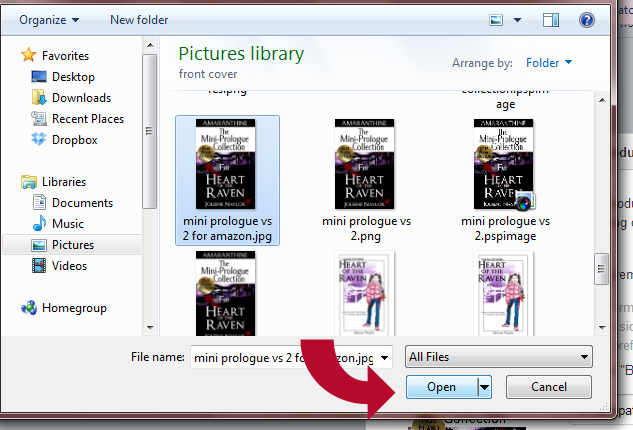 Once you do, use the browse button to find your book file, the same way that you found your cover. It should be a .doc file. This may take a few moments. If you have completed all required fields above, click “Save and Continue” to move forward while conversion continues. However, I just stay there until it’s done. When it is finished converting you will get a screen saying that it was successful, and you may get “suggested” spelling errors. 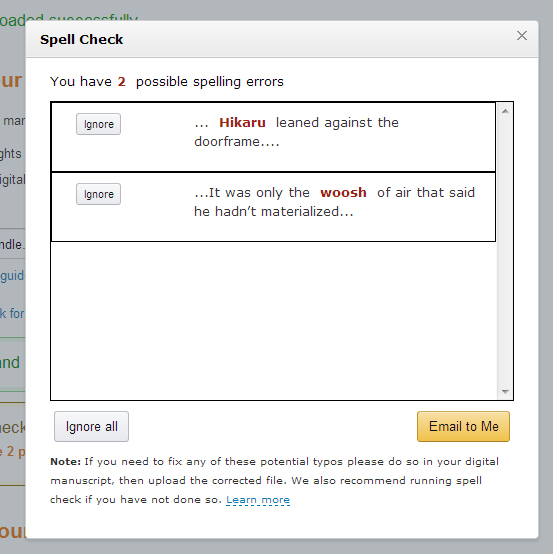 After a double check, I have determined that Hikaru is the correct spelling of his name, and free online dictionary states that “woosh” is a valid form of “whoosh”, so, for good or bad, I am going to leave them by clicking “Ignore All” (please no comments on whether you agree or disagree about woosh/whoosh). However, if you have errors you want or need to change, then you shouldn’t do that. If there’s a lot you might want to mail them to yourself, and if there are only a few then just leave the screen up, open your document and use the “find” feature of your word processing program to find and then fix them. Once you’re done, close the pop up out with the x in the upper right corner of it and reupload. Now we’re ready to preview the book. You can either use the online previewer, or you can download and install a previewer application. I am just going to use the online feature. The preview will pop up. Because I have been doing this for so long (taking screen caps and hopping back and forth) I had to sign in again. If you’ve taken a long time setting up, you may, too. You can scroll through the pages and make sure they look the way you want. This is where some authors (Ruth Ann Nordin, for example) read through the whole book. I am going to admit that I don’t because by the publishing stage I have usually read it thirty times or more, and have it memorized anyway. But at the very least you should check your chapter headings and endings and your opening pages to make sure there are no strange page breaks or weird formatting. You can use the drop down box to select different devices, such as the paper white, etc. It’s up to you how thorough you want to be. But, when you’re finished, choose Back to Book details in the upper left of the screen. you can then upload a new version if you need to and preview again, etc. I am happy with mine, so we’re moving on. 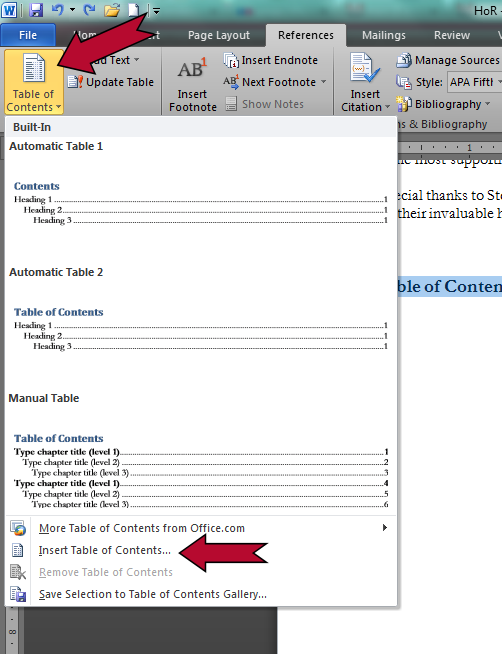 At the bottom of the book setup page select Save and Continue to go to the next page of steps. Now it’s time to tell Amazon where you have the rights to publish this book. 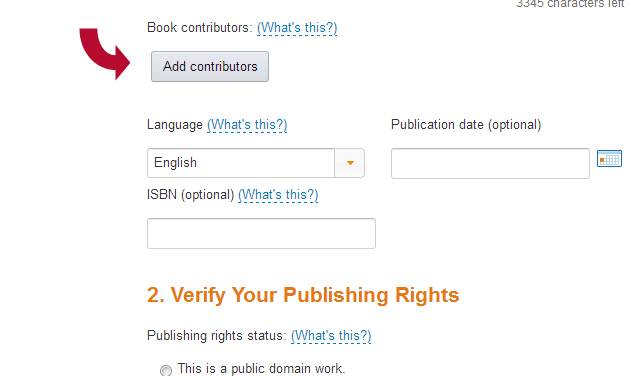 If it’s yours and has never been published by another publisher, then you have worldwide rights. Mark that dot and move on. But, if your book has been published previously by a publisher, you may not have all the rights, as your publisher may still own some of them. 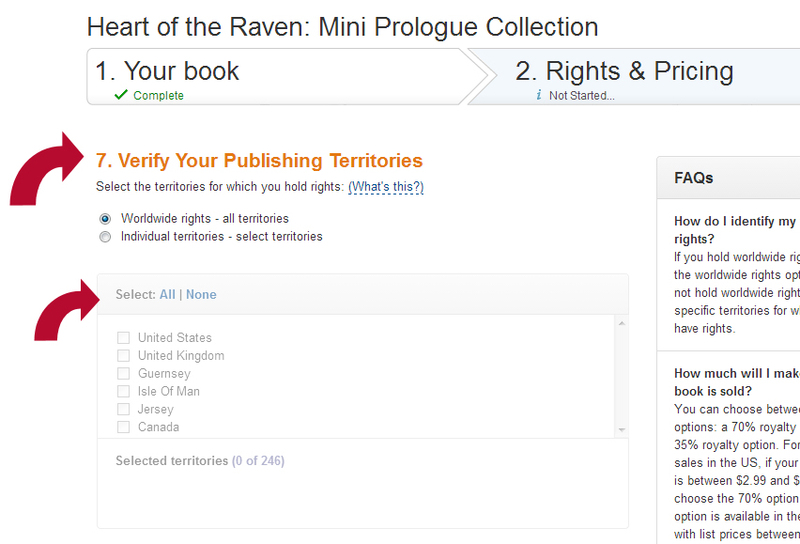 For instance a book published through a small press in the United States may have had rights for the UK and US in the contract but not for India or other countries, in which case you would select the second option and then choose only those countries that that publisher does not have rights for. 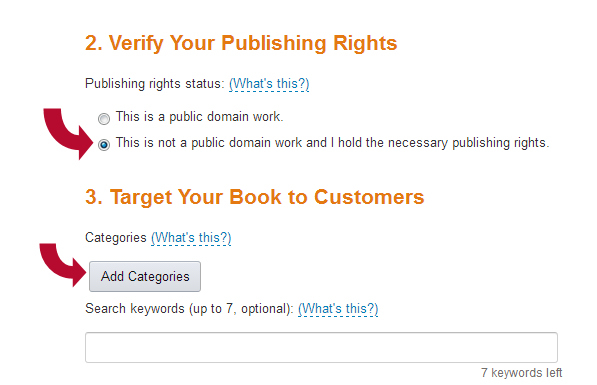 If you’re unsure, you may need to speak to your previous publisher and/or a lawyer. My book has never been published by anyone else, so I am picking the easy option. Now we’re going to choose our royalty – 35% or 70%. As with the other big choices, the decision depends on what is right for you. If your book will be priced below 2.99 (mine will) you have to choose the 35% option, but if it will be priced $2.99 or higher you can go for the 70% option. I will say that I have chosen 70% for those books I have published that cost more than $2.99, but the choice is yours. In this case I have to go 35%. So I will check mark it and I will put in the price. 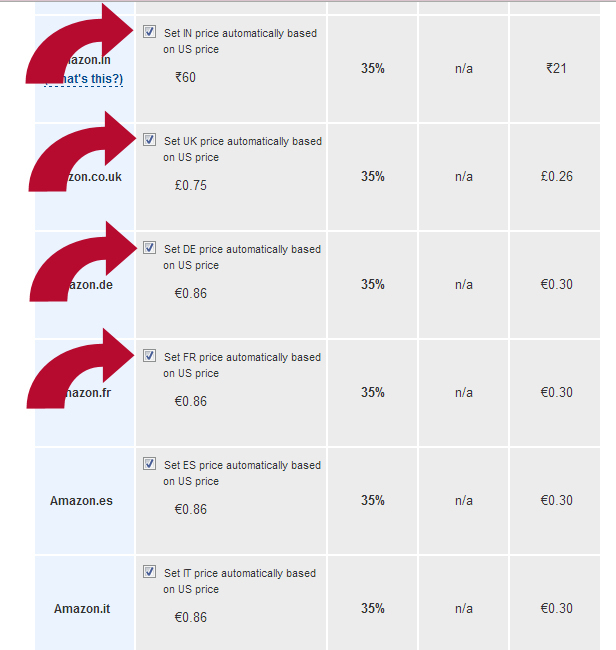 I just check mark the “set price automatically” feature for all the other channels, but you can set them individually if you want. Now it’s time to decide if you want Kindle lending or not (this allows someone who has bought your book to loan it to anther person’s kindle once). If you opted for 70% royalties this will be grayed out. 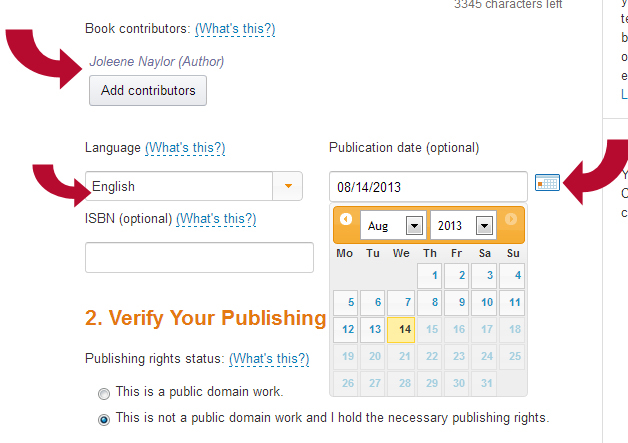 Make sure to check mark that you are confirming all rights, then hit Save and Publish. A pop up let’s you know that it’s being published and that’s it – time to go back to your dashboard and wait until you get your “congratulations” email. But wait. Didn’t I say that I wanted this book to be free? Why did I then set the price to $.99? Because Amazon won’t let you choose free as an option. What you have to do is use a price match. 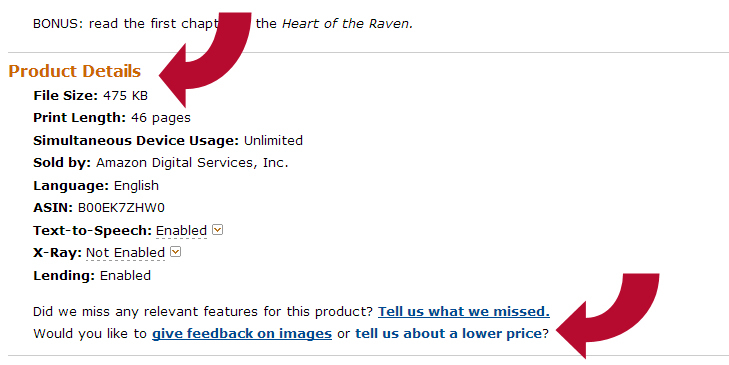 In other words, that book has to be on another retailer’s site for free. At the moment, that book is on Smashwords, B&N, and others for the low, low price of nothing. Now, I can wait until Amazon notices it and sends me that nasty little “Tut, tut,” email (which might take days) or I can speed things along by “reporting it” myself. But, I need to wait until it’s published. I doubt you want to stare at this spot for twelve hours, so I am going to use my magic wand to fast forward time. And look at that! The book is published! For some reason they have done something odd and linked it to Heart of the Raven the novel, but I’ll suss that out with an email later. In the meantime, let’s report that price. 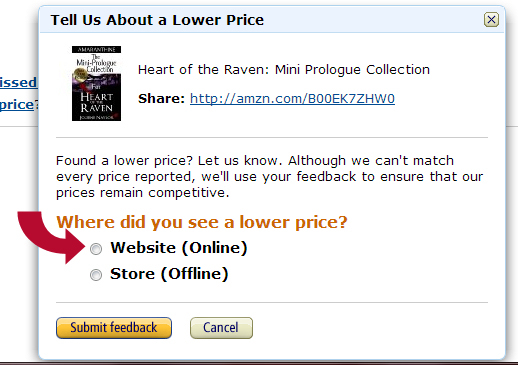 Go to your book’s page and scroll down to the Product Details and click on “tell us about a lower price”. Now you’ll get a little pop up. Click the mark next to “website”. the box will expand with an area to paste a link into. At this point you need the link from the lower listing page – i am going to use Smashwords. Enter the url, the price (in this case 0) and the date, I dropped it back to August 1st but you don’t need to. Then click Submit Feedback. It will then say “Thank you for your feedback” and give you a “close window” button – and that’s it. Now we just wait for Amazon to get it and say “tut-tut”. 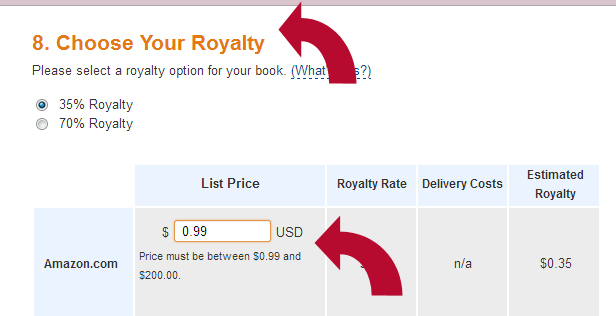 If you set a book free via price match and later want to charge for it, can you get it switched back? I assume so, but I have never tried it, so if someone with more experience wants to chime in in the comments, that would be great! Look for the cover creator post soon! Can And Should You Ask For Reviews? Lately it came up in a writer’s discussion group I belong to on Facebook about whether or not it was considered acceptable to ask friends and family for reviews. One author, who was new to the group, had written a novelette and published it on Amazon, but he hadn’t received any reviews for it yet. He was considering asking for reviews from people he knew, but he was afraid it would come off as tacky or as rude to ask for a review. The consensus of the group seemed to be that asking for reviews wasn’t a bad thing. In fact, several of us had already done so and had received reviews that way. What mattered, we believed, was how you went about asking for a review. Asking in a nice manner, such as saying, “If it’s not too much trouble, after you’ve finished reading my book would you write a review for it?” is perfectly acceptable and is much more likely to garner a positive response for both you and possibly your book than if you said something like “Give me a review or I won’t ever do anything nice for you!” Remember, people are taking time out of their hectic schedules to read your book, which they are under no obligation to read even if they know you. In a way, they are doing you a favor, and the review is like an extension of that. However, if you’re still uncomfortable with asking people for reviews, try reviewing the works of authors you are friendly with. If you read their work and you write a review of it, positive or negative, they may want to reciprocate by reading your work and then writing a review of their own. I know a few authors who have received reviews or the promises of reviews that way. And if you are still uncomfortable, think about it this way: most publishing houses actually pay magazines and newspapers to have their critics read their books and write a review of them. Compared to having to gather up the fees to pay a critic to read and review your work in even a small circulation magazine, asking for a review from some friends or family isn’t too difficult, is it? 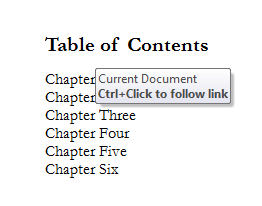 An author emailed me to say that the previous post on how to make a linked table of contents for Kindle didn’t work for her. I don’t know if it depends on what version of Word you use, or even what mood Amazon is in when you submit, but here is an alternate method. Microsoft has taken a stab at telling you how to do it, and you can try their directions, or you can see what kind of mess I can make. 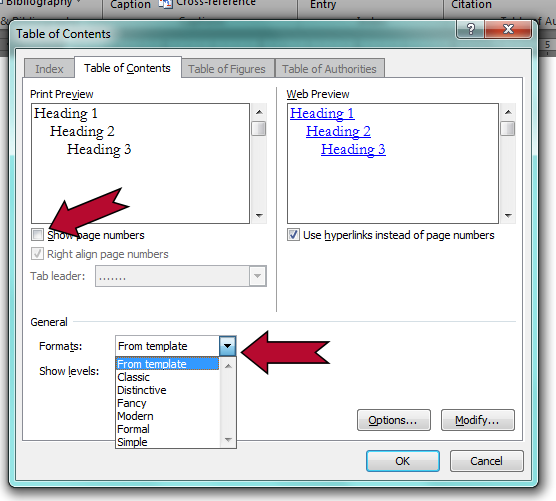 Open your document and scroll to the place where you want your table of contents to go. 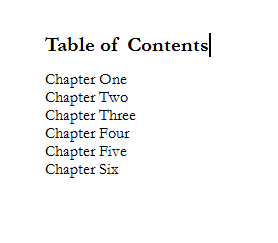 Depending on what style you choose (we’ll get there in a moment) You may want to type in your “Table of Contents” heading, or not. You’ll get a pop up. 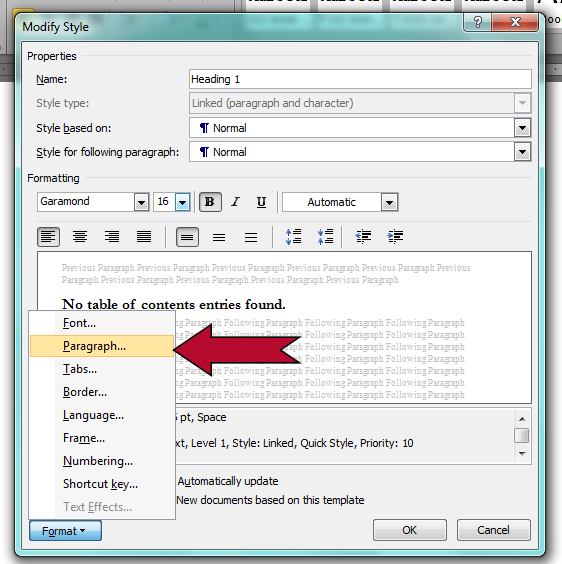 Just click ok.
First we want to prepare our headings by adjusting our style. This is easier than it sounds. On the Home tab choose the Heading 1 style and RIGHT click on it. A menu pops down. Choose Modify. When you’re done hit OK until all the boxes go away. If your navigation pane is open you’ll see your chapter suddenly appear in it. if it isn’t open or you have no idea what I’m talking about don’t worry about it. 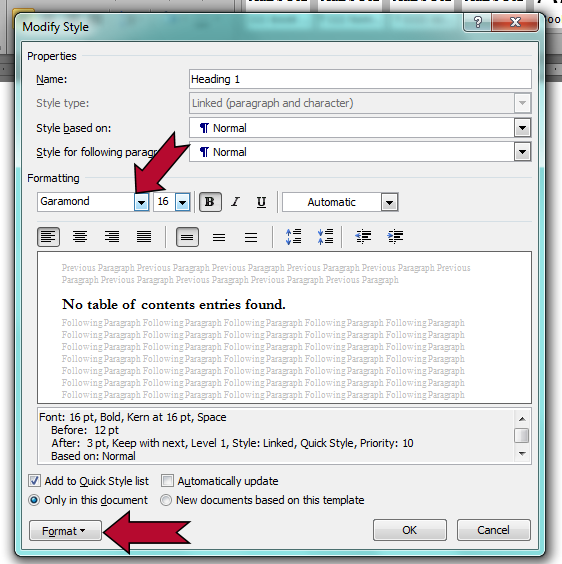 I admit, I don’t know if this method will work for Smashwords formatting, too, as I have never tried it with them (I use the previous method for them). If anyone else has, I’d be interested to know. If this method still does not work for you, or if you have another method, please let us know!